Monday’s Crazy 8 Family Fun League: Teams consist of 1 Adult + 1 Child bowl 8 weeks, cost is $8.00 a person a week, 8 Pin Tap, get and automatic Strike in the 8th Frame plus get a 12″ Pizza for just $8.00 or a 16″ Pizza for $16.00! Sign Up Today Starts Monday October 1st. Tuesday Short Season League: Tuesdays at 7:00pm teams consist of 2 people teams can be 2 men, 2 ladies or 1 man and 1 lady. This league is handicapped so bowlers of all skill levels can compete and WIN! Great for new bowlers looking to join a fun short commitment league! League starts September 25th at 7:00pm. Sign Up is on now for Bowling, Volleyball, Indoor Bean Bag Toss & Horseshoe Leagues! Remember we love teams & individuals don’t be afraid to sign up! Remember we love individuals as well as teams! Sign up Today! 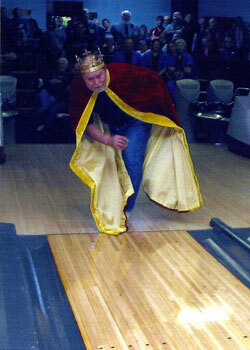 The only bowling center in Ozaukee where every week you can WIN FREE Drinks, FREE Pizza, & MORE! For More Information Call 262-377-8090 ext. 0 Or e-mail us at circlebrec@aol.com. See you in the Fall!